Two sniper teams from the U.S. Army Special Operations Command (USASOC) took home the top honors in the 10th Annual USASOC International Sniper Competition. This year’s event had 21 teams from allied countries around the world, shooting, moving and communicating thru a series of intense events that were intended to simulate combat as closely as possible and push the competitors’ tactical sniper skills to the max. The two USASOC teams won the top two honors while a Marine Corps team finished in third place. Every year the Sniper Competition changes slightly as instructors from the US Army JFK Special Warfare Center Sniper Committee designs the events to challenge the two-man sniper teams in their ability to work together as a team and test their speed and accuracy in various types of environments, with the stresses of combat added in. .“This year we wanted to focus on bringing guys in who may shoot competitively on the side but the core tasks would revolve around a real-world application,” said Master Sgt. Josh, a Special Forces Sniper Course instructor identified only by his first name and rank for security reasons. Snipers engage targets while wearing night vision. Teams competed with sniper systems of 7.62 and 5.56mm, carbines and pistols of various calibers. Several of the sniper rifle systems used in the competition are owned by the soldiers. 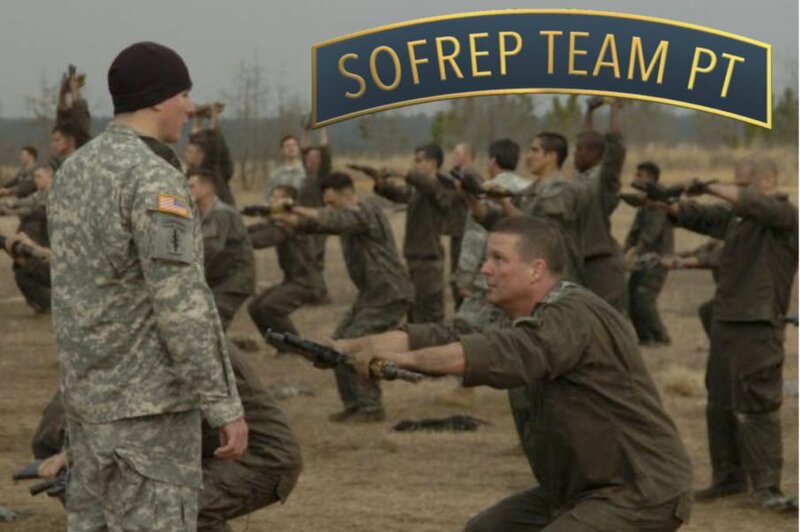 The competition was held at Ft. Bragg, NC where it was started back in 2009 by the JFK Special Warfare Center and School’s Sniper Committee, which hosted the competition. The school’s sniper course is used by all of Army Special Operations, including Special Forces and Rangers. The competition was more than just accuracy and distance shooting, but being able to conduct a series of timed challenges that were constructed to mirror real-world missions as well as stress the relationships and communication skills of competitors. One event had the shooter encounter targets with one hand, cuffed behind his back. “Guys do better when they’re laughing and joking,” the instructor said. At last year’s event, sniper teams had to move from one firing location to another, engaging targets 12×16 inches in size, 600 meters away while being timed. They had six minutes to engage as many targets as possible. As the spotter picked out targets, he also relayed to the shooter how to adjust his shots. The shooter would have to pick up the targets while in the prone position while peering thru the reticle of his rifle. The teams would be taken to a range that required that they navigate around or over numerous obstacles, buildings, and mock vehicles. Each of the targets was marked by a symbol and a color denoting the type of weapon that should be used — pistol, carbine or sniper rifle. In another event to test the communication and teamwork of the sniper team, the troops would be placed on a raised platform with several different levels that recreate the top of a building. There, the shooter nor the spotter could not see every target from a single position. So, they had to split up to guide each other to a position where they could engage their targets. Added into the equation was that before the event, an instructor would be shown a card by the instructors. They then had to find that symbol in the target area and engage it with the appropriate weapon. That event was designed to get the teams to hurry and distracted, moving faster than they needed to. If a team engaged the wrong target, points were deducted from their overall score. The old saying “slow is smooth and smooth is fast” was apt at that event. The teams that slowed down and identified the targets were the ones who fared the best. There was also a physical challenge event. Designed to test the team while carrying a typical combat load, moving and shooting. The team had to run uphill with a 90-pound kettlebell. They would then take turns firing at targets before moving on with their kettlebell a to the next position. The competition included day and night shooting and would change from open areas to an urban environment. All of which special operators will encounter in any operation in today’s mission environment. Congratulations to the USASOC teams and all of those who participated.